For the first time in history, Chinese Internet users have produced more content than professional websites. 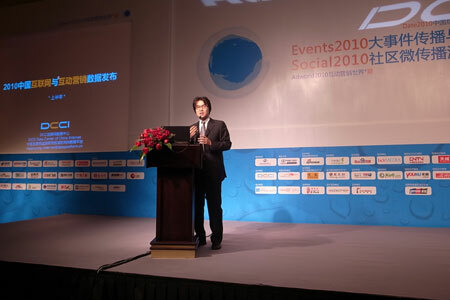 Hu Yanping, of the Data Center of China Internet (DCCI), said the era of Web 2.0 has officially overtaken Web 1.0 as the amount of content generated by personal users on blogs, online forums, social networking sites (SNS) and question answers exceeded the amount contributed by professional organizations in news, search engines and e-commerce. In the first half of this year, the content produced by Chinese Internet users accounted for 50.7 percent of the total, and content produced by professional websites accounted for 47.3 percent, according to statistics released by the Beijing-based DCCI on Thursday. In the first six months, page views (PV) of SNS accounted for 50.1 percent of the total page views of all Web applications and services, according to statistics from DCCI. Page views of information providers kept decreasing to 8.8 percent of the total, the report said. Also, Internet users lingered longer on video sites and SNS for entertainment than reading news or seeking information. The Internet monitoring and research company also predicted that China's Internet population will reach 469 million by the end of 2010, accounting for 35 percent of China's total population, and the number will hit 718 million by 2013, accounting for 52.7 percent of the total.